Where is the 5G-enabled juggernaut we were promised? If you've been studiously saving ahead of next month's Galaxy Unpacked event in a bid to be one of the first to place an order for the all-singing, all-dancing Galaxy S10 X, we have some very bad news. You'll probably want to be sitting down for this. Despite weeks of whispers from the supply chain about a new high-end 5G-enabled Galaxy S10 model, purportedly called Galaxy S10 X, it looks like it might not be part of the forthcoming smartphone line-up from Samsung after all. That's according to the latest report from reliable tipster Evan Blass, who has an almost infallible record when it comes to unannounced Samsung hardware. Blass has tweeted an image purporting to show the complete Samsung Galaxy S10 range. According to the leaked image, there will be three, not four handsets. 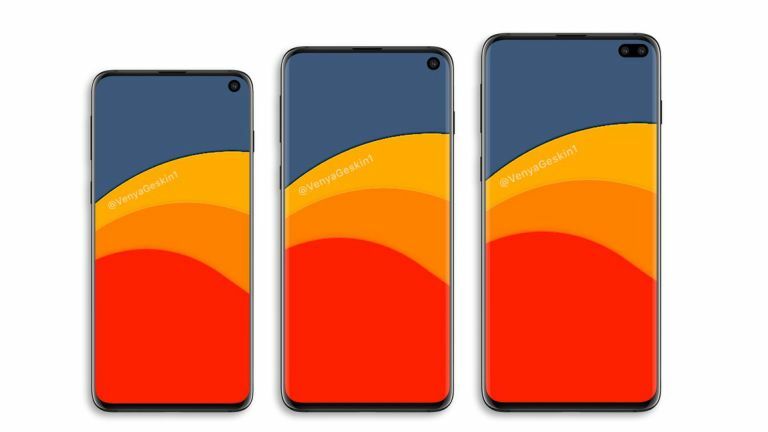 Blass believes these will be branded Galaxy S10E, Galaxy S10, and Galaxy S10 Plus. The former is a new addition with a more affordable price tag to combat the spiralling prices of the rest of the range, sources say. However, the ultra high-end, 5G-touting so-called Galaxy X was notably missing from the image. Samsung has previously pledged to launch a 5G-enabled smartphone in the US early this year, but it was never confirmed whether this would be part of the Galaxy S10 range, or something entirely separate. It's possible there will be a 5G model of one of the Galaxy S10 models pictured, although that seems unlikely. Despite his stellar track record, it is possible that Evan Blass, better known by his Twitter handle @evleaks, has got this one wrong and there is a Galaxy S10 X due to be unveiled on-stage on February 20, 2019. Earlier this month, Korean news publication ETnews, the 5G-enabled Galaxy S10 will include the same in-screen ultrasonic fingerprint scanner scheduled for the regular 4G-touting Galaxy S10 and Galaxy S10 Plus, as well as a whopping 1TB of built-in storage, a ginormous 5,000mAh battery, and 10GB of RAM or more. Wow. As always, we'll keep our ears close to the ground, so stay tuned for any new leaks about the long-rumoured flagship smartphone.